It is with profound sadness that I relay the news that Coach Gordon Gandy died on July 5th. Gordy, as he was known to his friends, had stopped to help a women who had crashed her car, and in the process, was struck and killed by a passing motorist. Since many of our team members (past and present) learned to fence with Gordy, I wanted to share this sad news. In many ways, Gordy died the way he lived his life. From early on Gordy understood the nobility of service and helping other. It permeated who he was. It led him to join the Marines to serve his country, and then to join the police force to serve his community, and later to work overseas. It also led Gordy to a life-long interest in fencing. Gordy had a deep appreciation for the culture of chivalry and honor that is part of the sport. 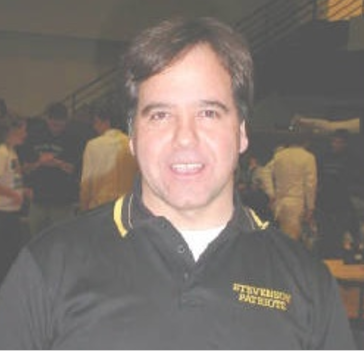 After learning to fence in the Marines, Gordy went on to compete at the national level and to spread his love of fencing by teaching fencing to adults at the College of Lake County and to be the saber coach at Stevenson High School. He also founded Crimson Blades Fencing Academy, a private fencing club, to teach saber fencing to elementary, middle school and high school students. During his 30-year fencing career Gordy trained and inspired over a thousand young fencers, including several dozen young men and women who went on to fence at the national level and in college. Gordy was a remarkable coach and a good friend. He loved to tell stories about the history of fencing and sword play and made practices a magical combination of learning, wonder, and physical activity. Many of his stories seemed to have a common theme; a hero doing something noble. I find some small comfort in knowing that Gordy died being a hero for someone in need. Below is a link to a piece that ABC7 News ran on Gordy’s life and tragic death. I am very glad we all had a chance to get to know Gordy so we can celebrate his life.